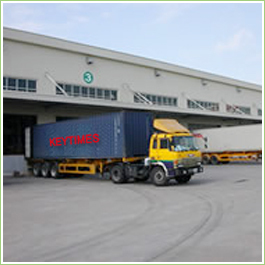 KEY TIMES International Logistics Co.,Ltd is a first-class shipping agent,approved by the National Department of Economics and Finance and Navigation Administrative Bureau.We are specializing in ocean transport (FCL) ,Air transport,LCL transport, shipping agent,agent for Import & Export cargos,Customs clearance,C/O,Insurance,sourcing and so on. Our company is made up of professional people .With our broad knowledge and experience in Freight Forwarding(Both Sea&Air), Transportation (General Haulage&Trucking), Consultation in the Freight Forwarding business and more, we have proudly earned to ourselves a good name in the industry. From the General manager to the common employee in the company, any of us consider our customer as our god, we will do our best to provide more,help more,serving more. We have lots of high quality employees. Any manager of branch offices has a master degree and hold a high diploma.There is an advanced management system in our company, which make us do the work very convenience. Even if some one go on business in Africa, he can receive his fax and how to serve his chinese shipment.